Music fans either love KISS or they're wrong, and there would be no KISS without Paul Daniel "Ace" Frehley, who's known to play custom special effects guitars, such as a Gibson Les Paul that emits smoke. KISS and Frehley understood from the start that rock 'n' roll is a spectacle, and they wrote the book, playing in outlandish costumes under iconic face makeup. ACE'S WILD! 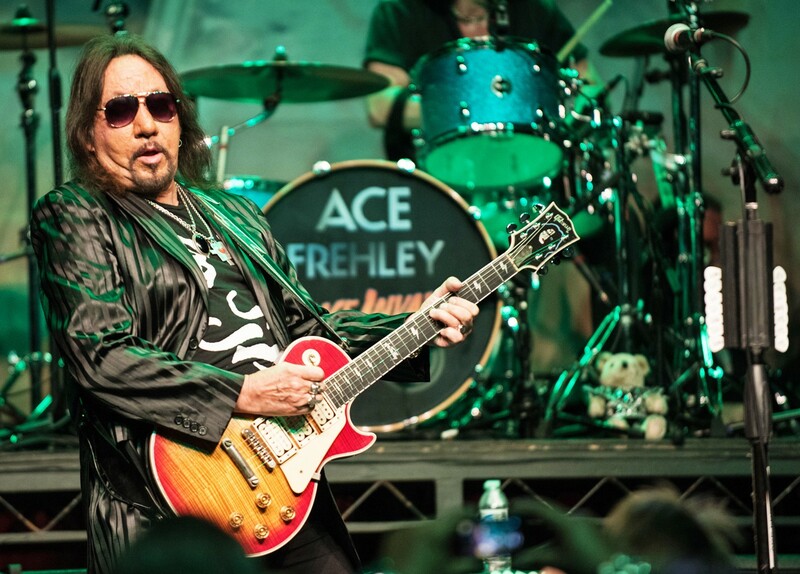 Ace Frehley, founding member of KISS, plays at the Fremont Theater on Aug. 8. Frehley developed his Spaceman or "Space Ace" persona during his KISS years (1973 to 1982, 1996 to 2002), and together the band was monstrously huge in the metal and glam rock scene, with levitating drum kits, pyrotechnics, blood spitting, fire breathing, and more. Yes, KISS is still together, but without Ace, they're not the same. Frehley's successful solo career has been a lot less flashy. He called his band Frehley's Comet, and he eventually signed to Megaforce Records, releasing the eponymous Frehley's Comet in 1987. 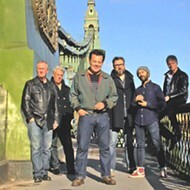 The album's mix of rock and pop metal propelled it to No. 43 on the Billboard 200. While his solo albums haven't reached the heights of his KISS years, they've been solid entries into his oeuvre, and 2016's Origins, Vol. 1—a covers album with songs by The Stones, Cream, Jimi Hendrix, and others—was very successful, reaching No. 23 on the Billboard 200 chart. There's a new Frehley album rumored to be in the works. Ace Frehley plays the Fremont Theater on Wednesday, Aug. 8 (8:30 p.m.; 16-and-older; $35 to $55 at Boo Boo's and eventbrite.com). Don't miss your chance to see this Rock and Roll Hall of Famer shred on guitar like no one else. As he's noted repeatedly, he's never had a guitar lesson, doesn't know how to read music, and his technique is unorthodox, yet he's one of the most famous guitar players in the world. I also hear he's joining his former KISS bandmates in late October 2018 for the KISS Kruise VIII (thekisskruise.com), but when I last checked, the Oct. 31 through Nov. 5 cruise was sold out. Join the waiting list and dare to dream! such as Metallica and Mötley Crüe." 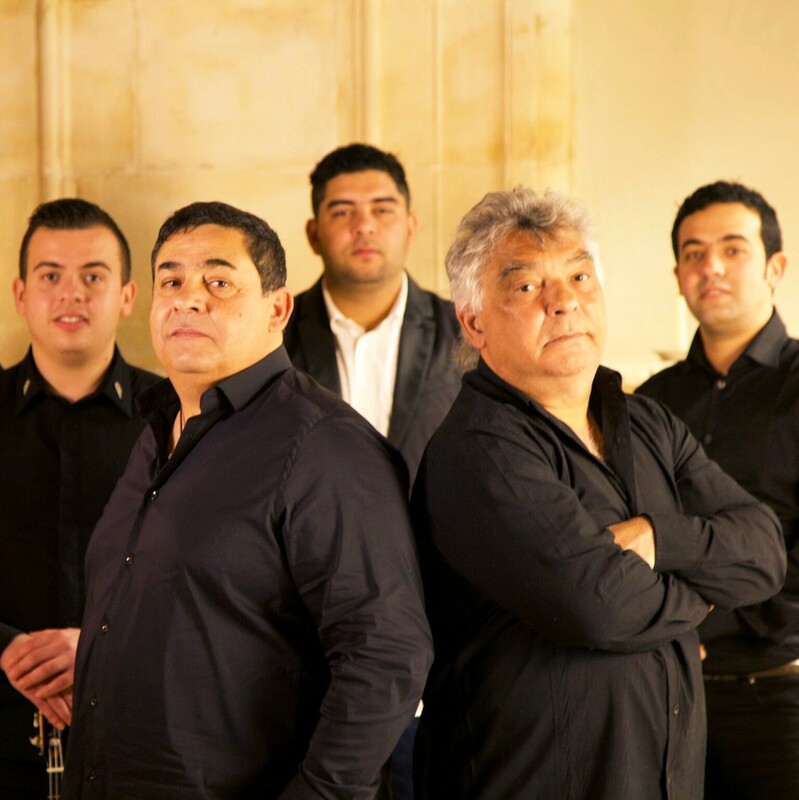 Vina Robles Amphitheatre hosts Grammy Award-winners The Gipsy Kings, featuring Nicolas Reyes and Tonino Baliardo, this Saturday, Aug. 4, with opener Vilray (8 p.m.; all ages; $48 to $93 at vinaroblesamphitheatre.com). KINGS The Gipsy Kings will bring their flamenco, rumba, and salsa sounds to Vina Robles Amphitheatre on Aug. 4. 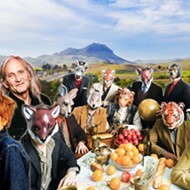 Though born in France, the group members were born of gitanos parents—Spanish gypsies who fled Catalonia in the 1930s to escape the Spanish Civil War. Originally calling themselves Los Reyes (The Kings and Nicolas' last name), the band brought rumba, flamenco, and salsa to audiences worldwide when they got their commercial start in 1973. The band has always been a family affair, with brothers Nicolas and Andre Reyes teaming with cousins Jacques, Maurice, and Tonino Baliardo. Now the sons of core members Nicolas and Tonino have joined the band. "Melding deep-heated flamenco, rumba, salsa, and pop to the tune of 20 million albums sold, the Grammy Award-winning hit-makers behind 'Bamboléo' continue to celebrate in their very own, blistering tradition. "Uniting the family Reyes and the family Baliardo, the band continues a tradition that has drawn famous fans such as Picasso, Cocteau, Dali, and Chaplin," their bio reads. Even if you think you're unfamiliar with the band, their music has appeared in the animated film Sing as well as The Big Lebowski, Toy Story 3, and Glee. Numbskull and Good Medicine Presents have two hot shows this week, starting with reggae acts Raging Fyah and Rebel on their Summer Tour 2018, which will stop at The Siren on Saturday, Aug. 4 (8 p.m.; 21-and-older; $14 at Boo Boo's and ticketfly.com), with special guests RSB. Jamaica's Raging Fyah is hot right now, a Kingston-based quintet that formed in 2006 and has been steadily building a reputation as an authentic roots rock act. Each of their three albums—Judgement Day (2011), Destiny (2014), and Everlasting (2016)—have improved upon the previous one. The band also entered the legal marijuana market, linking with Elite Organics of Colorado to market Raging Fyah's Everlasting Kush. Anyone know where I can lay my hands on some? Asking for a friend. EIGHT-STRING THING The Charlie Hunter Trio, with Hunter playing jazz guitar and bass parts on seven- and eight-string guitars, plays The Siren on Aug. 5. 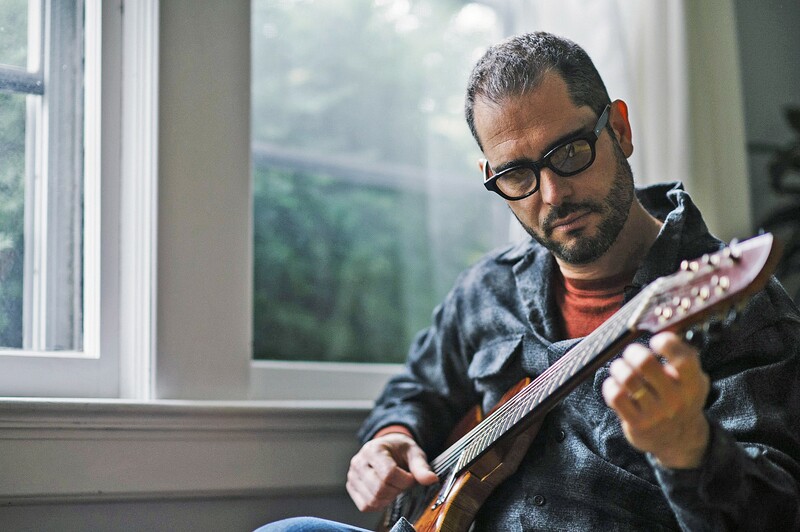 Innovative jazz act The Charlie Hunter Trio plays The Siren on Sunday, Aug. 5 (6:30 p.m.; 21-and-older; $25 presale at Boo Boo's and ticketfly.com). With nearly 20 albums under his belt and collaborations with the likes of Norah Jones, Mos Def, and John Mayer, Hunter is the master of the seven- and eight-string guitar, on which he plays both guitar and bass parts. He's wild! The Siren also hosts El Twanguero this Friday, Aug. 3 (doors at 8 p.m.; 21-and-older; $10). The Spanish guitarist Diego "Twanguero" Garcia has since relocated to L.A., where his ripping mix of flamenco, rock, blues, and surf guitar is lighting up clubs. The newest album for this two-time Latin Grammy winner is Electric Sunset, which won Best Album at the Spanish Independent Music Awards. Check him out online. He's awesome! 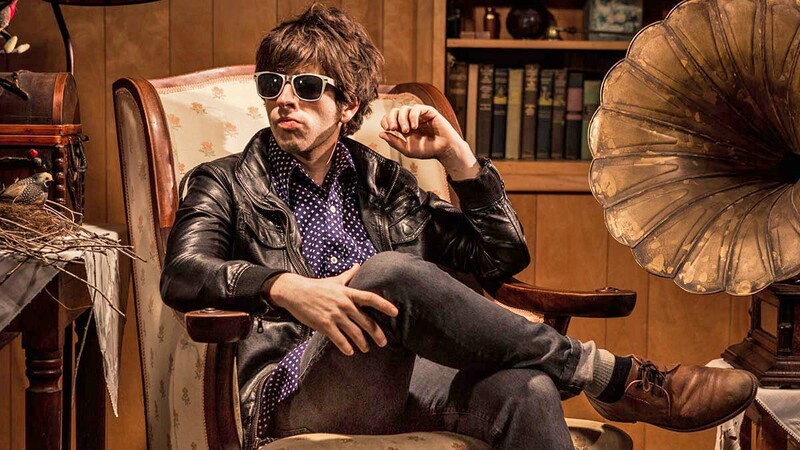 INDIE DARLING Santa Cruz singer-songwriter Henry Chadwick plays the Frog and Peach on Aug. 2. Santa Cruz-based indie-rock singer-songwriter Henry Chadwick, not to be confused with the dead "Father of Baseball" Henry Chadwick or the dead theologian Henry Chadwick but instead the quirky musician behind songs like "Bag of Chips" and "Wrong Way," is coming to Frog and Peach this Thursday, Aug. 2 (8:30 to 11:30 p.m.; 21-and-older; free). He reminds me a bit of Little Wings. The SLO County Jazz Federation is bringing the Adam Levine Quartet to Coalesce Bookstore this Friday, Aug. 3 (7 p.m.; all ages; $25 at (805) 772-2880), featuring multi-reed player Dave Becker, bassist Dylan Johnson, and drummer Daryl Vandruff. These are amazing players! The fifth annual Hot Summer Soul Show happens this Saturday, Aug. 4, in an idyllic setting on a private estate in a wooded canyon near Lake Lopez at the Paradise Canyon Ranch (1500 Big Baldy Way), where you can hear Burning James and the Funky Flames, The Jill Knight Band, and the gospel and soul of Burning, Bad & Cool (4 p.m.; all ages; $20 presale at brownpapertickets.com, $25 at the gate). 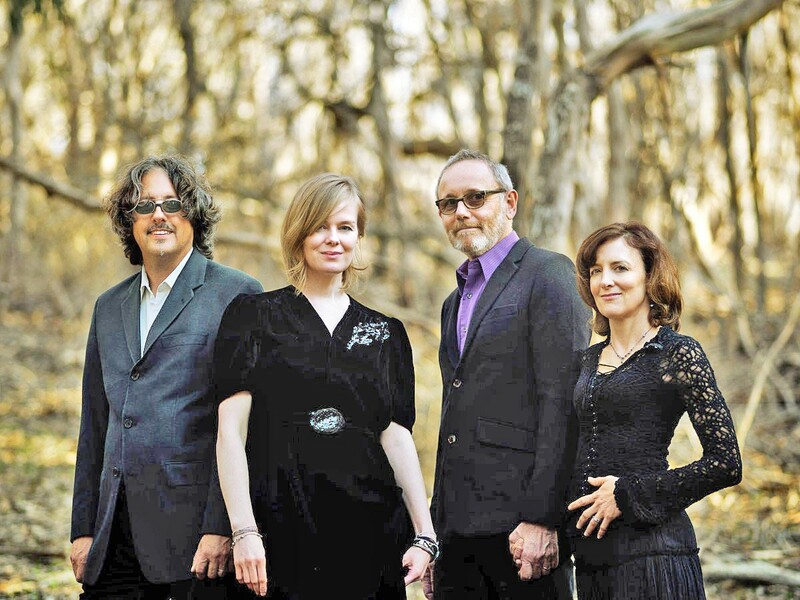 MYSTERIOUS MUSIC Ethereal folk pop act Shadowlands has released two new singles and plays Aug. 4 at Branch Mill Organic Farm and Retreat Center and Aug. 10 at Tooth & Nail Winery. 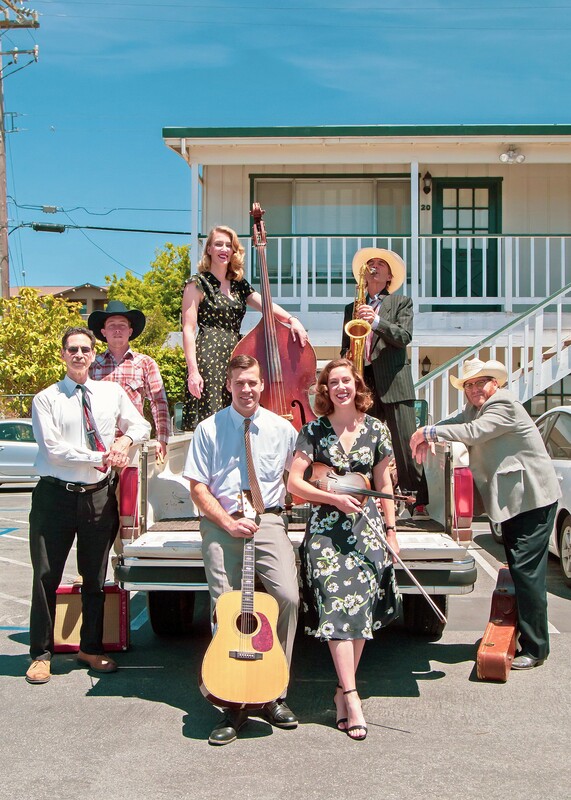 The Red Barn Community Music Series presents Hank and Ella with The Fine Country Band this Saturday, Aug. 4 (5 p.m. potluck; 6 p.m. concert; all ages; $15 at the door). Expect killer "vintage country and original Americana music, heartfelt melodies, boogie-woogie, honky-tonk, and classic duets." 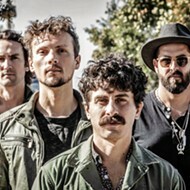 The Sunset Winos, formerly known as the Starfuckers, will play Rava Wines in Paso Robles this Saturday, Aug. 4 (6:30 p.m.; 21-and-older; $20 to $30 at my805tix.com). The all-star jam band features members of KISS, Guns N' Roses, Alice Cooper, and more. "On any given night, you could be witness to a raw performance by Axl Rose, Billy Idol, Slash, Brain May, C.C. 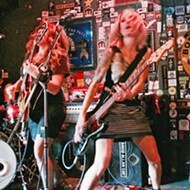 DeVille, Lemmy, or even Jimmy Fallon," according to press materials. SLOFolks hosts awesome all-female super quartet Blame Sally for a concert at Castoro Cellars this Saturday, Aug. 4 (7 p.m.; all ages; $25 at (805) 238-0725 or online at castorocellars.com/events). 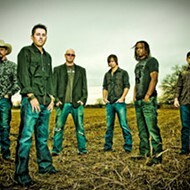 Incredible harmony vocals, superb musicianship, and amazing songwriting awaits! VINTAGE COUNTRY The Red Barn Community Music Series presents Hank and Ella with The Fine Country Band on Aug. 4, playing Americana, boogie-woogie, and honkytonk.